Lord Stow's Bakery created by Englishman, Lord Stow on Coloane Island, Macau on 15th September 1989. 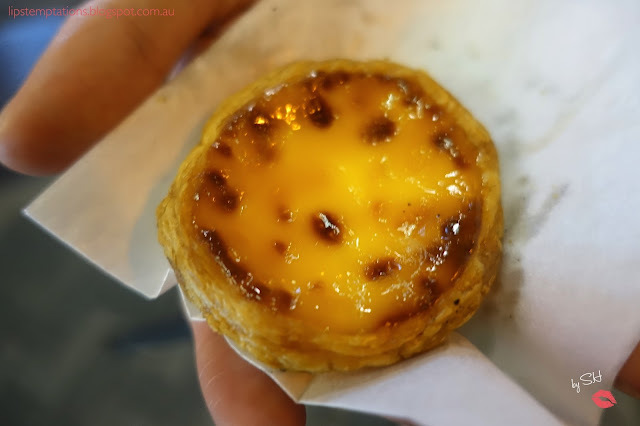 In late 80's Andrew was inspired by Pasteis de Nata - a kind of egg tart in Portugal, so he began his own experimentation and finally created his own speciality and introduced their most popular menu, the famous "Portuguese" Egg Tart to Asia in the form we are now familiar with. Andrew's pride his product to be always fresh, healthy, natural and have the highest possible quality, he does not use any additives and preservatives. Since the demand for the famous Egg Tart keep rising, Lord Stow's bakery decided to branch out internationally. Starts with Hong Kong then Taiwan, Osaka, Philippines and I'm sure they will continue growing in the future. 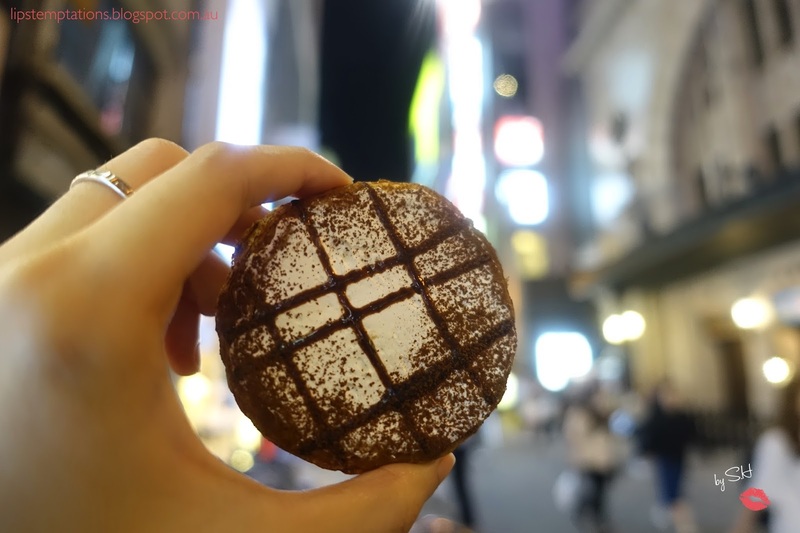 I pass by Lord Stow's Bakery by chance when I stroll around Dotonbori area and of course I had to buy some of the delicious pastry's. 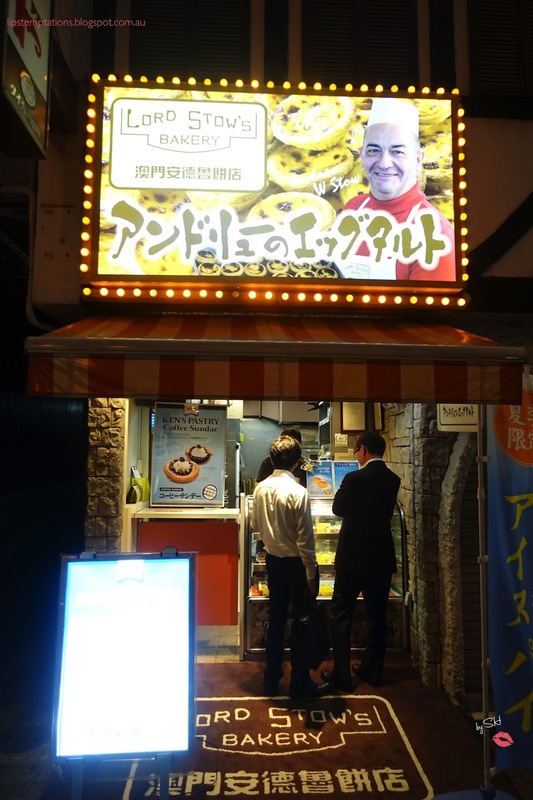 This the only Lord Stow's Bakery in Japan. 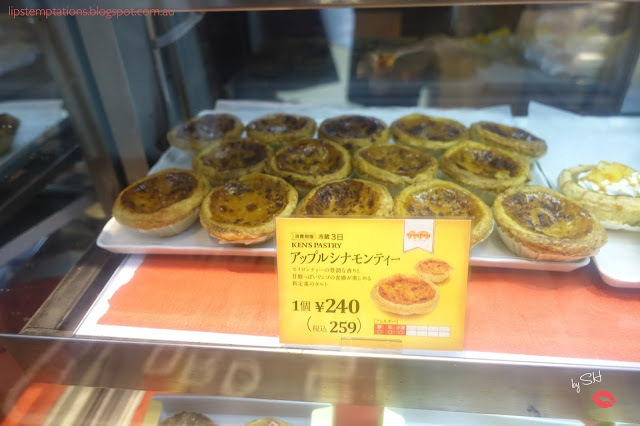 I start with the famous "Portuguese" Egg Tart (237yen) and it was amazing. 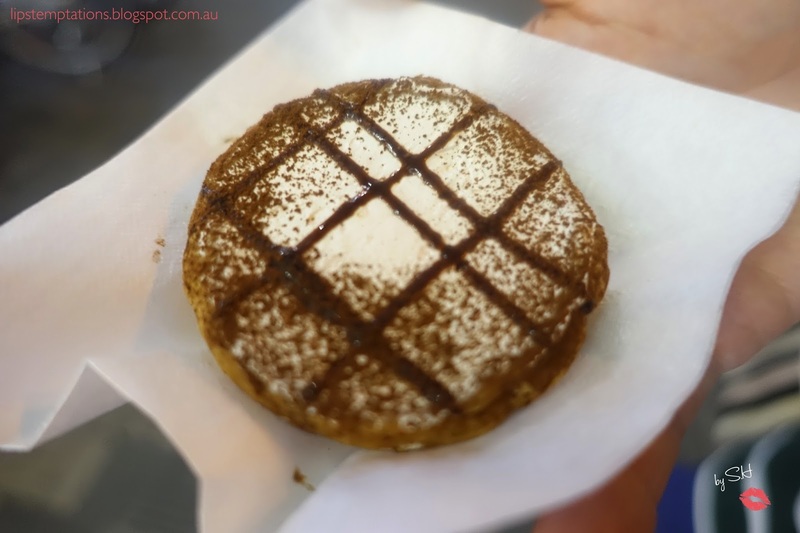 Melt in your mouth moment, crunchy pastry, warm inside, soft and perfect kind of sweetness. This is definitely a Temptation's Worthy product! 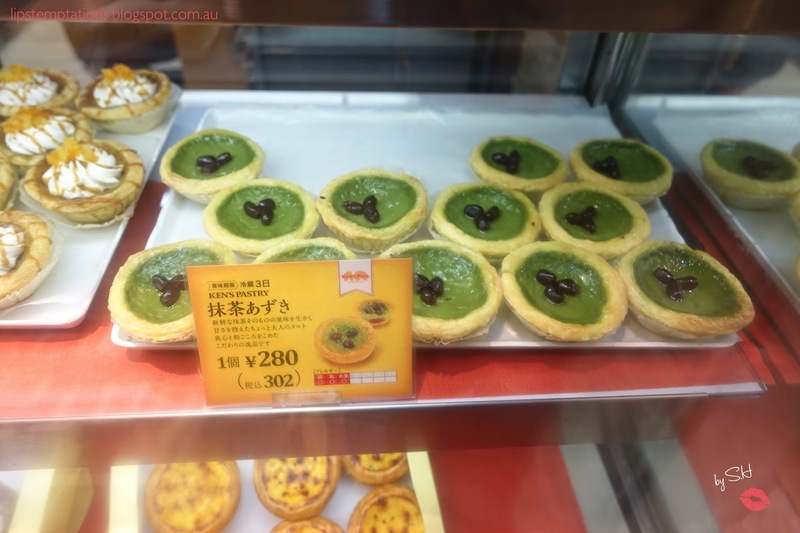 Red bean and green tea tart (302yen), classic Japanese flavour. Pastry was crunchy and tasty, the fillings was smooth, green tea and red bean always been a good combinations. Apple cinnamon tea tart (259yen), this is the closest resemblance to the famous egg tart, inside was fresh sweet caramelised apple, the apple tea smell really good, the tea makes the tart lighter. 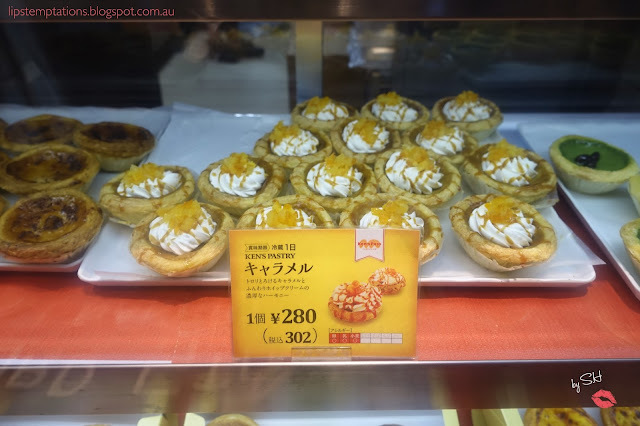 Caramel tart (302yen) was really sweet, the cream on top was fluffy and smooth - it helps lighten and balanced the sweetness of the caramel. Overall, this is one of my favourite pastry store. 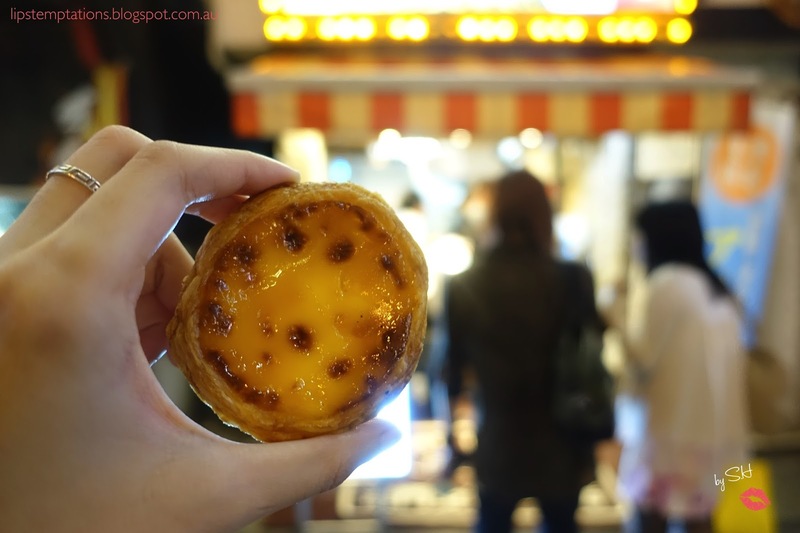 I would have the famous "Portuguese" Egg tart as often as I could.